A man A plan A canal brings you a free and exclusive screening opportunity withWho Took The Bomp? Le Tigre On Tour. The film follows iconic feminist electronic band Le Tigre on their 2004-2005 international tour across four continents and through ten countries. Supported by a community of devoted fans and led by outspoken Riot Grrrl pioneer Kathleen Hanna (Bikini Kill), Le Tigre confronts sexism and homophobia in the music industry while tearing up the stage via performance art poetics, no-holds-barred lyrics, punk rock ethos, and whip-smart wit in this edgy and entertaining documentary. Directed by Kerthy Fix (Strange Powers: Stephin Merritt and The Magnetic Fields), Who Took The Bomp? Le Tigre On Tour features never before seen live performances, archival interviews, and revealing backstage footage with these trail-blazing artists. Who Took The Bomp? 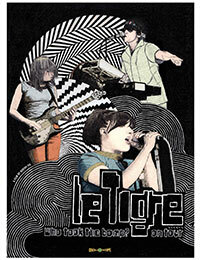 Le Tigre On Tour is now available for screening. Watch a clip of the film here. Contact us today to set up your screening of Who Took The Bomp? Le Tigre On Tour! This could be a great way to bring visibility to your station this summer as well as interact with your staff, DJs, community, campus, and listeners.